TORONTO | MEXICO CITY – IMPACT Wrestling, a subsidiary of Anthem Sports & Entertainment Corp., announced today that it has renewed its broadcast deal for Mexico with Mexico City-based MVS Comunicaciones MVStv. 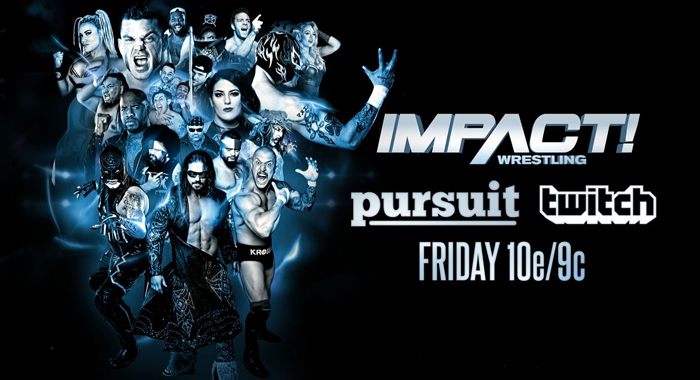 IMPACT Wrestling showcases top professional wrestling stars such as IMPACT World Champion Johnny Impact, Eli Drake, Moose, Brian Cage, Killer Kross, Eddie Edwards and Sami Callihan, Mexican superstars such as Pentagon Jr. and Fenix, the high-flying X-Division and the Knockouts, including Champion Taya Valkyrie, third-generation star Tessa Blanchard and Rosemary. IMPACT!premiers weekly on MVStv in Mexico on Saturday nights at 9:00 p.m. CDT. For more information, visit www.impactwrestling.com and www.mvstv.com.